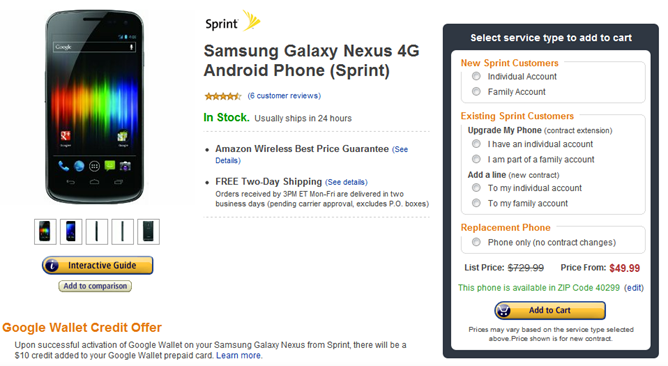 If you're still looking to get your hands on a Sprint-branded Galaxy Nexus, Amazon has a deal for you – Amazon Wireless is offering the Galaxy Nexus right now for $49.99 if you open a new account. This is a great discount, cutting a full $100 off the last deal we saw. It's worth noting that customers looking to activate a new line or upgrade an existing line can expect to pay $99.99 or $149.99 respectively for the Now Network's debut LTE device. 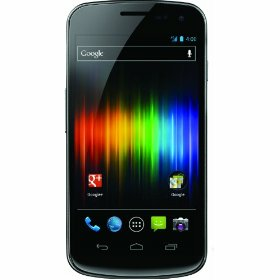 If you've been lusting after the Galaxy Nexus but haven't found a good enough price to claim one yet, now's your chance. Just head to the Amazon Wireless listing linked below. MetroPCS Launches The Activa 4G, Huawei's First LTE Android Phone In The U.S.